OLIVET UNIVERSITY NEWS - ZSDS Senior Faculty Interviewed by Christian TV Channel on "A Study of 32 Bible Topics"
ZSDS Senior Faculty Interviewed by Christian TV Channel on "A Study of 32 Bible Topics"
Zinzendorf School of Doctoral Studies faculty, Olivet University students and faculty had an opportunity to showcase their devotional book "A Study of 32 Bible Topics with Real Stories for Young People” on KTLN, a Northern California-based Christian TV Channel. The book "A Study of 32 Bible Topics" is the fruit of a project initiated by ZSDS Doctor of Ministry Program Director Dr. Tom Cowley with the goal to prepare a topical Bible study guide for young people. Under his mentorship, 15 Master of Divinity students wrote on 32 selected topics such as “Love”, “Faith”, “Glory”, “Courage”, “Joy”, “Suffer” and others. Each topic comes with key Bible verses, synopsis, real-life examples, discussion questions and a short prayer. 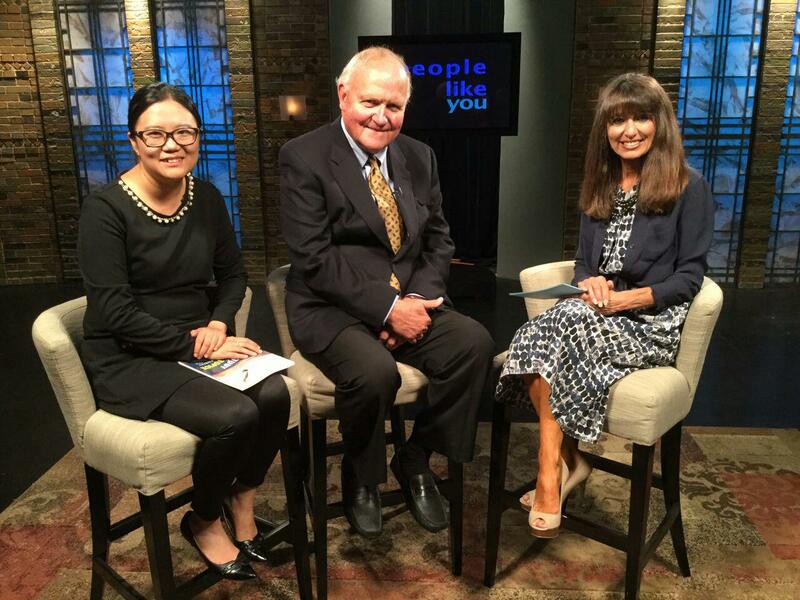 Dr. Tom Cowley visited KTLN’s San Rafael facility for the recording of an episode in the Emmy Award winning show "People Like You" on Tuesday July 25. During the interview, he was accompanied by Olivet Theological College & Seminary faculty Dr. Rachael Mak and two MDiv students who co-authored the book. Since the book was published in February, it has been available for churches as a useful resource in discipleship. The interview is an attempt to get the work known to a larger group of audience. Dr. Cowley shared:" It is a joy to witness the enthusiasm of students in writing, reviewing, and discussing each topical study in class. My prayer is that their hard work as young authors increases knowledge of the Bible and its life impacting stories." The interview is scheduled to be aired in Fall this year.